Don't you hate it when you your evil plots fail? 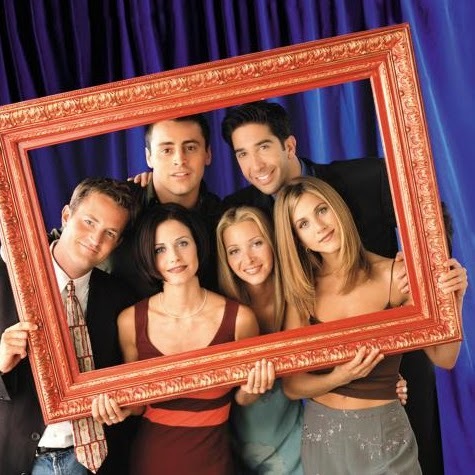 My original diabolical plan was to watch Friends on Netflix, then get on here and bash on how it doesn't hold up because it's a ball of mid-90's cheese that doesn't age well. So then I sat down and started watching Friends, an activity I haven't done in years, and got ready for the headache. Then I couldn't stop laughing and realized that I was completely wrong. So then I switched to an easier target. If you were a kid in the 90's you'll remember how big Pokemon was. 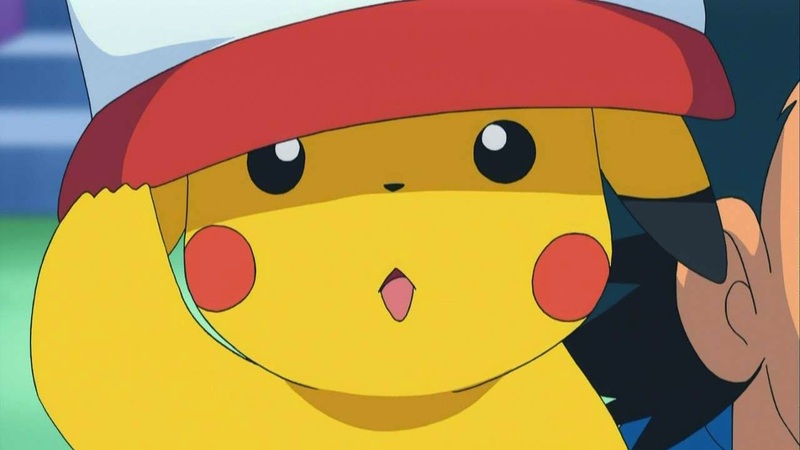 Pikachu was our generation's Elsa for a while, where you couldn't swing a dead Meowth around without hitting the little electric rodent on a shelf in the store. Naturally when something gets that big competition will rise, and the only thing that even tried to take on Pokemon was Digimon. I remember watching this thing as a kid and falling in love with the action and design of the Digimon, as well as laughing at what I thought was hilarious dialogue, so when it showed up on Netflix I was looking forward to a fun trip down memory lane. Three episodes in and I was looking for the Tylenol. For the uninitiated: Digimon is about a group of kids who get sucked into the mysterious Digital World, a world that's supposed to have been created by the vast network of computers sharing data, where they meet the Digimon, a group of animals who can of course talk and fight. Digimon when they get enough energy can digi-volve, which means evolve into some higher form thus completing the ripping off of Pokemon, but when that energy runs out they go back to their previous forms, because you know, if you get a chicken tired enough it'll turn into a tyrannosaurus. The children's job is to provide energy to their Digimon through... something that has to do with their Tomagatchi's... and save the digital world from the evil that threatens to destroy it. So what's the problem? Besides doing it's hardest to rip off Pokemon without a lawsuit, our basic problem is the same issue I had with the Hobbit: they're are just too many characters on screen. We have 7 children and each has a talking sidekick for a total of 14 mains, plus whatever villain or helper they have in the episode, and the writing has each character contribute to each conversation, which is usually an obnoxious quip or just stating useless information. I don't know if you've ever tried to have a serious conversation with toddlers present that keep showing off their vocal skills by saying random things, but that's what it feels like. He's still the coolest of them all. Animation wise, it's anime, and even the worst anime can usually stack up against most American cartoons, but here I hate to say it barely holds its own. 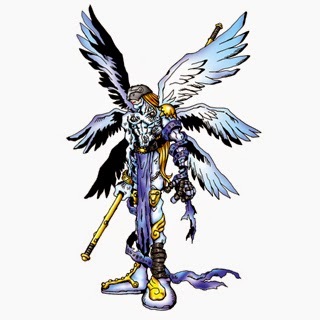 Character design is decent, some of the Digimon you meet later look like goths are trying to play World of Warcraft, but some are decent if not actually cool looking (Despite my post of ranting I still love Angemon). When they move on the other hand the whole thing falls apart. I get things have to change to dub over the American actors, but it leaves us with a lot of still shots throughout each episode while the characters spew their poorly written lines. Pokemon used to have the same problem but we're talking three or four characters compared to over a dozen. It just doesn't work. Did I mention the entire premise doesn't make sense? At no point does the show stop and explain to the audience what the digital world is, or how seven random kids managed to get in there. I could kinda go with the whole human turned into data thing, since I've seen my share of Star Trek, but then later the Digimon enter the... I don't know... real world? Human world? And are able to digi-evolve and fight and nonsense just the same so how does that work? Later seasons make the series even worse by not bothering to continue with the main story, but instead start their own continuity with different characters and rules to the world that are even more poorly explained. So why didn't Digimon survive like Pokemon has? Even more stupid and complex things seem to still be culturally relevant and are even making comebacks, so where's Digimon? Well unlike their rival Pokemon Digimon never had a good tent pole. Let me explain: Pokemon had the show, which was decent and is still on, but they also had the amazing video game series that is still making more to this day, and doesn't only sell to children but appeals to fans who grew up with it, such as yours truly, because the game itself is still solid and fun, even though we don't watch the show. Sad to say the best part of Digimon was this show, which as I explained doesn't hold up. They released a string of games to try and milk Pokemon's success but they were cheaply made, badly written and just an obnoxious grind to get through. The best was Digimon: Rumble Arena which was a side-scrolling fighter in the same sense as Mortal Kombat, but that was just pick your two favorite Digimon and bash them against each other for a few minutes. They attempted a card game, again in the same vein of "Pokemon did it", and that failed miserably, mainly because it tried to follow the logic of the show, which is like following a cat into a landfill after it's just taken LSD. So in conclusion, sad to say, can't recommend Digimon to anyone of my age group. If you liked the show back then, keep your fond memories because trying it again will only taint them, and if you have kids let them watch Pokemon or Batman Beyond, or really anything else on Netflix, because we don't need more disappointed fans of this train wreck. Did you ever watch Digimon? Who was your favorite? It's funny because my kids discovered Digimon on Netflix and started watching it. I was never into Pokemon (it was just after my time, but barely), but my brother was way into it. From what I could gather from him, Digimon was basically to Pokemon what Go-Bots was to Transformers. My kids have since discovered Pokemon, and it was basically like "Digi-who?" There were plenty of other attempts to take on Pokemon. Medabots and Robopon were two robot-oriented franchises, and arguably BeyBlade tried to do this with tops, and Yu-Gi-Oh! ended up doing this with cards. I remember being fairly big into Pokemon already when I was first aware of Digimon, and I did see it as some kind of also-ran trying to jump on a bandwagon, so I didn't bother with it at first. However, as I got older (and got into Toonami), my tastes in anime shifted, and suddenly having a good ending mattered. Given Pokemon's nature to just throw Ash into the next game's world, with no end in sight, I gave up on Pokemon, but (for some reason) I decided to give Digimon another shot. Suddenly, I was aware that they did have a better sense of continuity as well as a decent build up to a climactic ending, which was much more satisfying than anything that happened in Pokemon. I also felt that the writing in Digimon's dub was pretty good, as it made me laugh fairly often. Reading over your article, it seems pretty obvious that you only watched the first season, which, in my opinion, pales in comparison to the second season, which takes place a few years later. There was a slightly smaller roster, a more interesting story (for a kids' show, anyway), and a pretty epic ending. 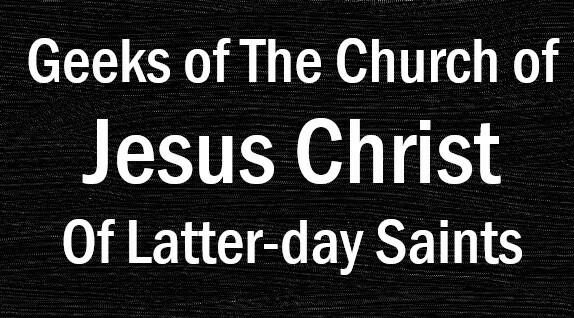 I would recommend that you watch it, if you're inclined. However, one can't discuss Digimon without bringing up the incredible third season. You see, the writers did something a little clever by starting from scratch, creating a whole new cast of heroes (and villains), as well as changing the rules of the DigiWorld (mostly so they could make the then-relevant card game a part of the show). The best thing about the third series is that they really went a bit off the deep end and had some darker themes (for a kids' show, anyway), which has made it very memorable for those who watched it. 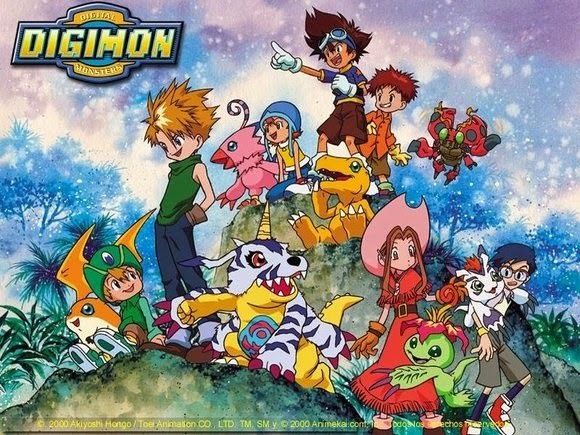 Digimon did have a fourth and fifth season, each with their own unique world and heroes. I'm under the impression that the fourth was "okay", while the fifth was something of a disaster. I never did watch much of them (yet!). However, Digimon hasn't died at all. In 2010, they did a new series called Digimon Xros Wars, and it's currently airing on Nickelodeon as Digimon Fusion. I watched just short of half of it, and found it to be mildy entertaining, even as adult. Nice, brainless fun. And now I've just learned that they're going to do a new show that carries on from the season 1 & 2 timeline. I may have to check that out when it arrives. Anyways, Digimon will always be in Pokemon's shadow in terms of franchise power, but when it comes to anime, I really do think Digimon has the edge, at least narratively. It certainly isn't the smartest stuff from Japan, but sometimes you don't want anything complicated or challenging. If you can get over the simple storytelling and slow-building continuity, I think Digimon remains a unique guilty pleasure for those willing to keep their inner 10-year-old around.